One of the best things about blogging is connecting with people. These connections are generally made online through the blog itself or social media. 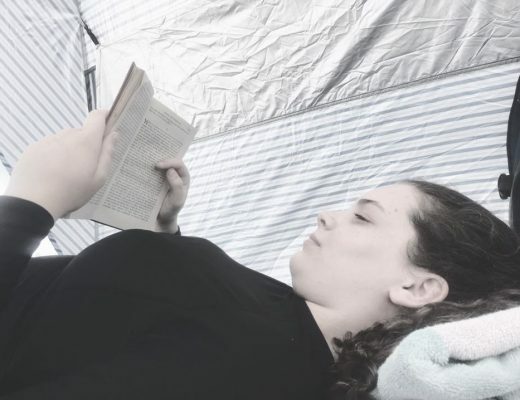 The downside to blogging can be the isolation of not being able to connect with people in person. 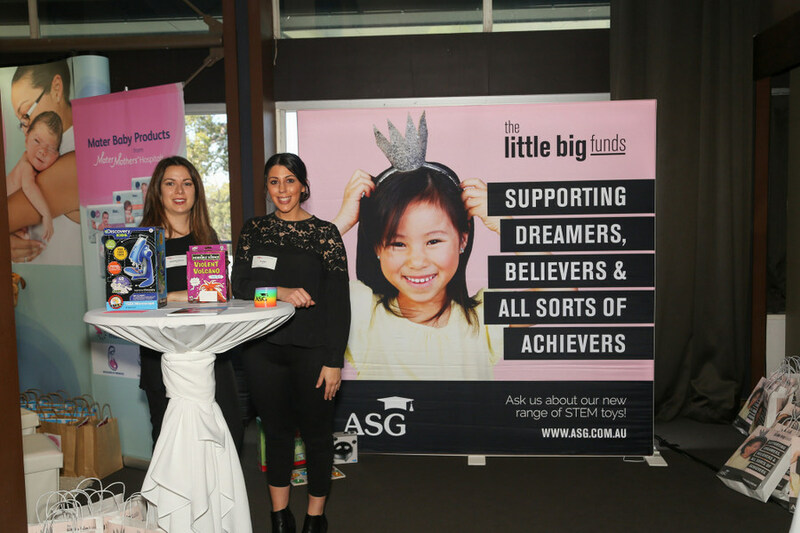 So when Kids Business announced they were going to launch their very first networking bloggers brunch event in Brisbane (at Victoria Park Golf Course), it was exciting. Kids Business Brunches generally happen in Sydney and Melbourne. 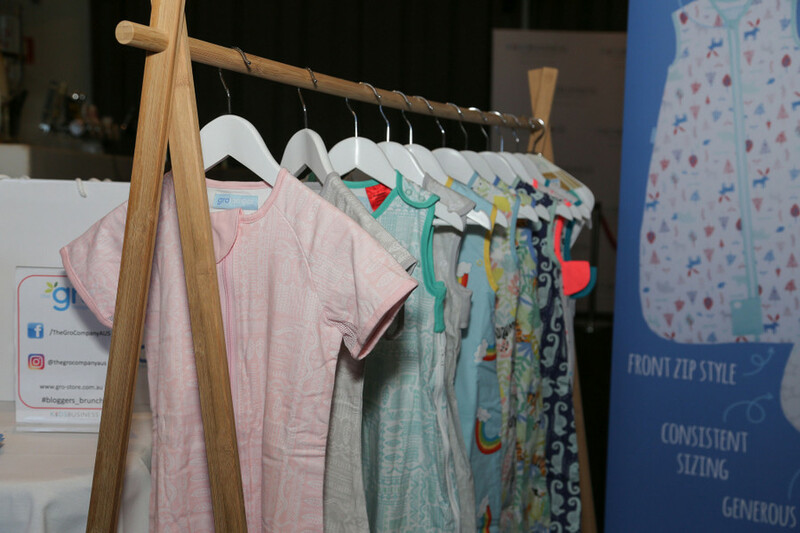 The event allows brands to connect with bloggers, offering samples to show how their product works and potential opportunities for future collaborations. There were approximately 10 brands at the networking brunch. Some exhibits offered activities to build confidence with hands-on experience with the brand. 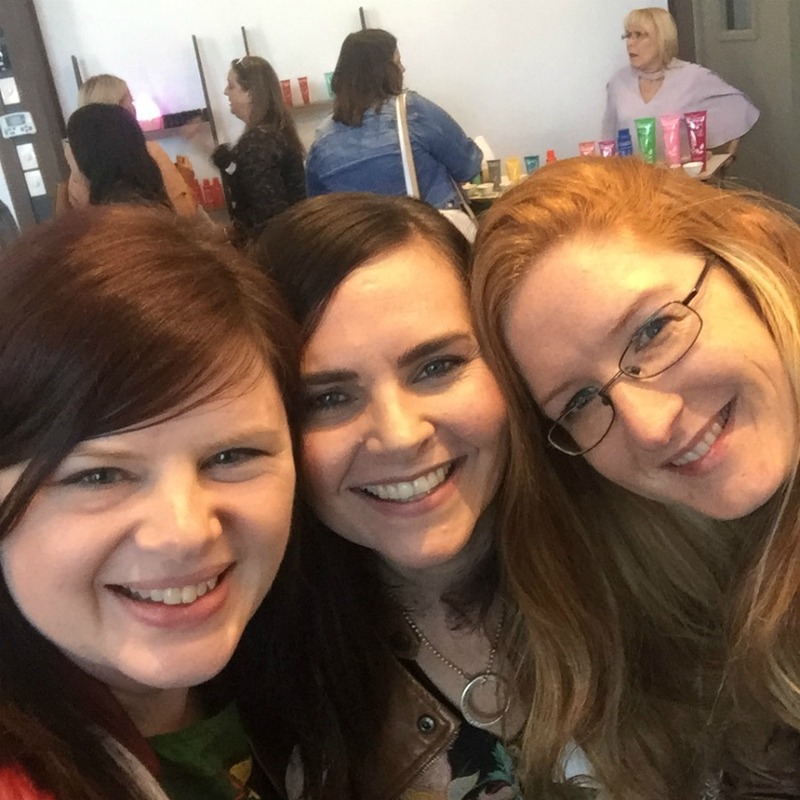 It was fun learning about these brands with blogging colleagues who I hadn’t seen or hugged in person for months – some even years! Before I highlight the fab brands we met, I need to feature the charity of the morning. The Kids Business Brunch is big on giving back to causes that help others. Rochelle Courtenay, from Share the Dignity, shared how the Kids Business Partnership assisted women in need. 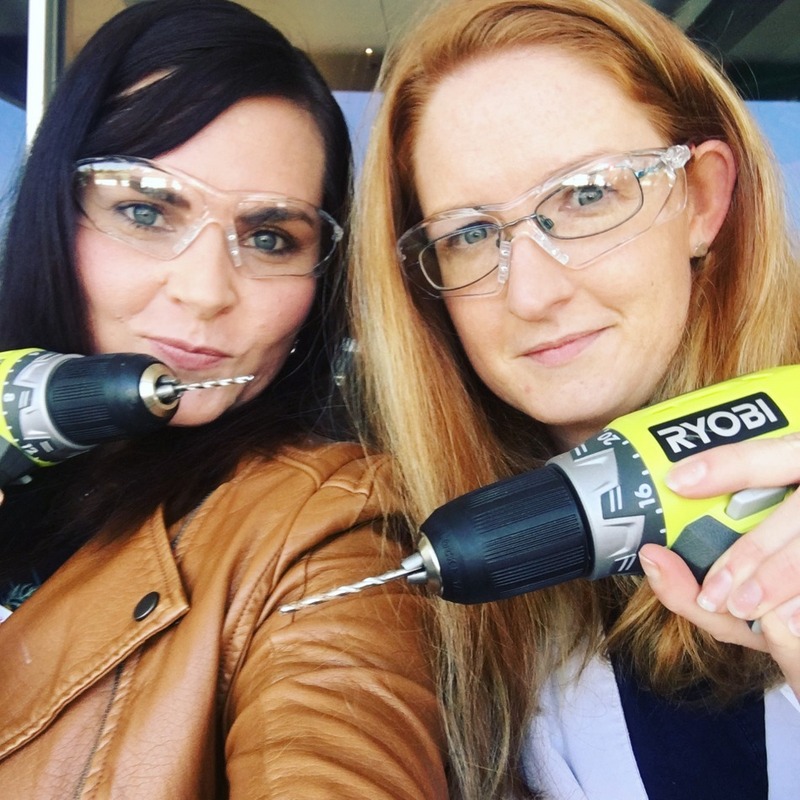 Ryobi offered a hands-on activity, where each blogger installed a piece of a cubby house that would be donated to a chosen single mum and her two young children. This activity was a great reminder that we can all do something small that can collaboratively make a big difference to someone’s life. 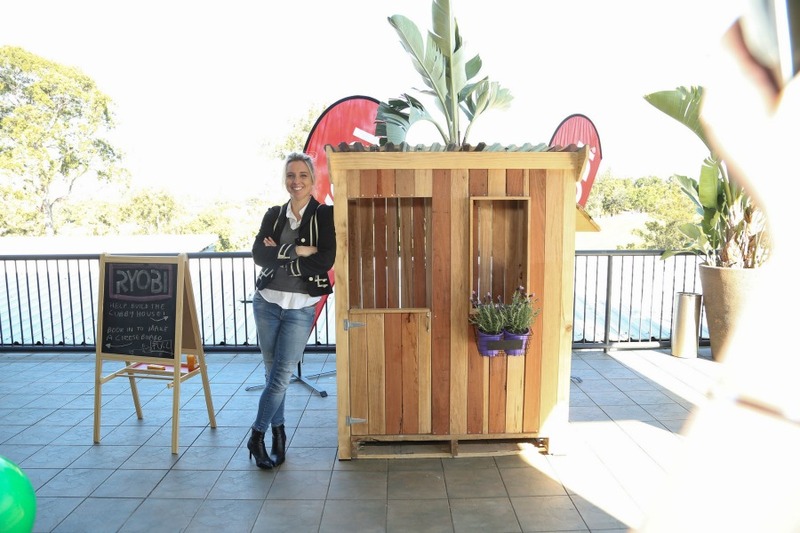 Kerryn, Ambassador for Ryobi, standing next to the cubby house we all had a chance to build. 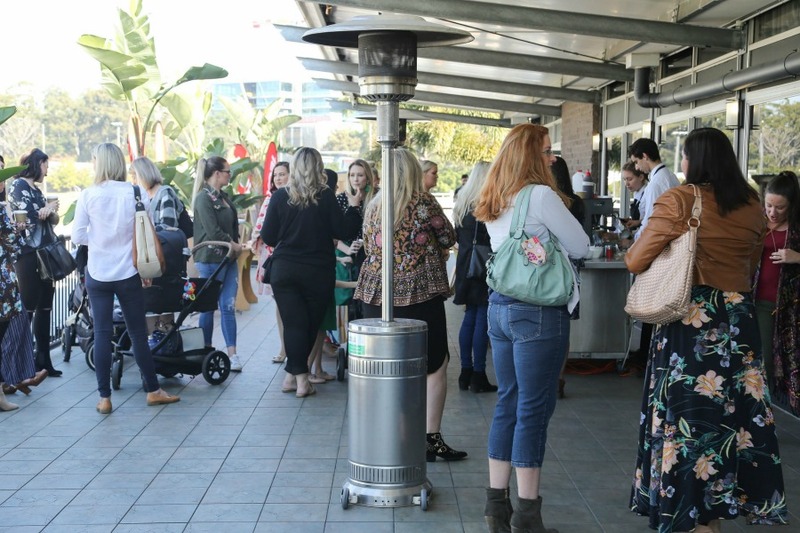 The Brunch involved coffee, a food buffet, formalities and a talk from Kerryn Carter (founder of Tool School and brand ambassador for Ryobi) about her interest in helping women and children feel confident with using tools. 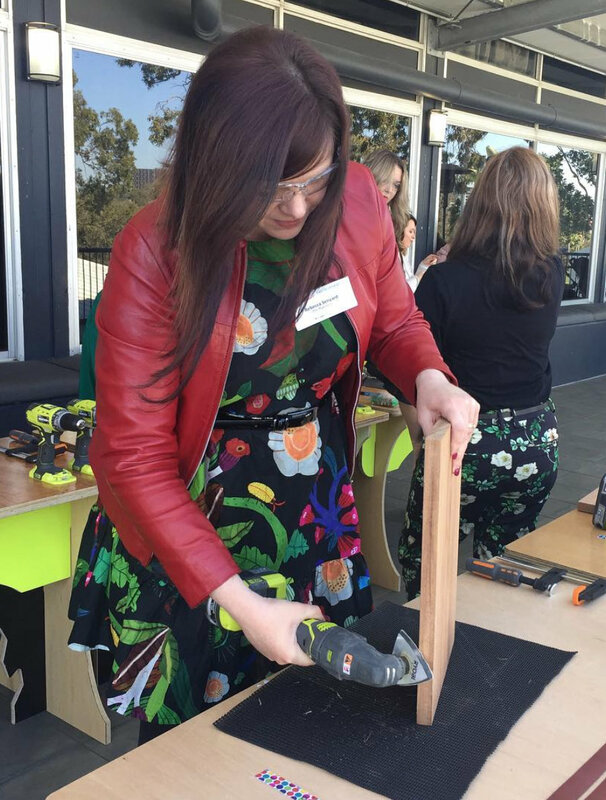 Kerryn shared her journey with us — she trained for a career in accounting and law before realising she really wanted to invest in her woodwork passion, and founded Tool School. Any hesitations bloggers may of had about using power tools were faced head on with a Ryobi workshop, where there was an opportunity to make a cheeseboard. 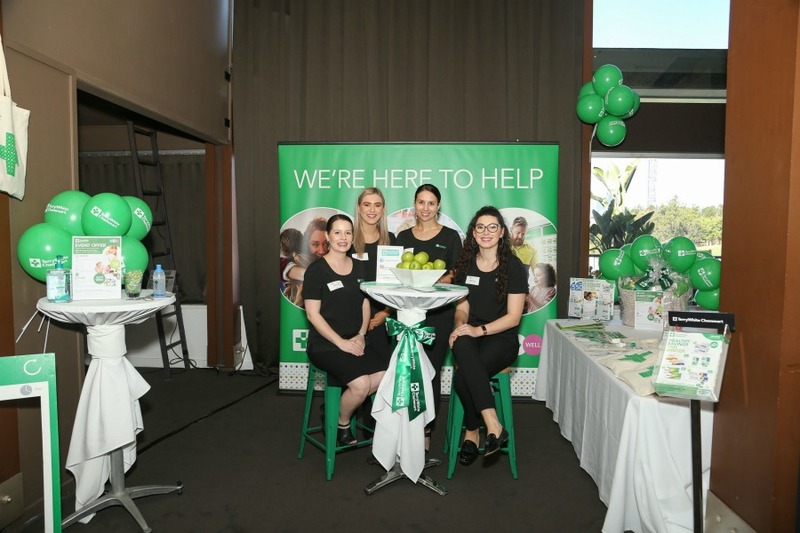 The brands at the brunch had a running theme – they all offered something to help mums. Kids Business understand that parents need support when raising children, and these brands offer a solutions to help. 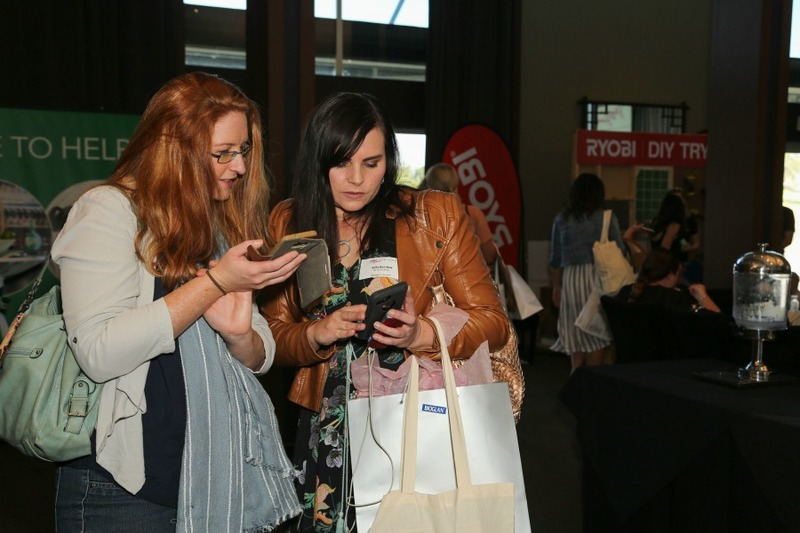 Below are the brands both Kelly and I (Bec) interacted with at the Kids Business Blogger Brunch in Brisbane. Little Innoscents is a natural, organic skincare range for kids and adults. The range has expanded to include natural cleaning products, including eco-friendly washing liquid and fabric softener. 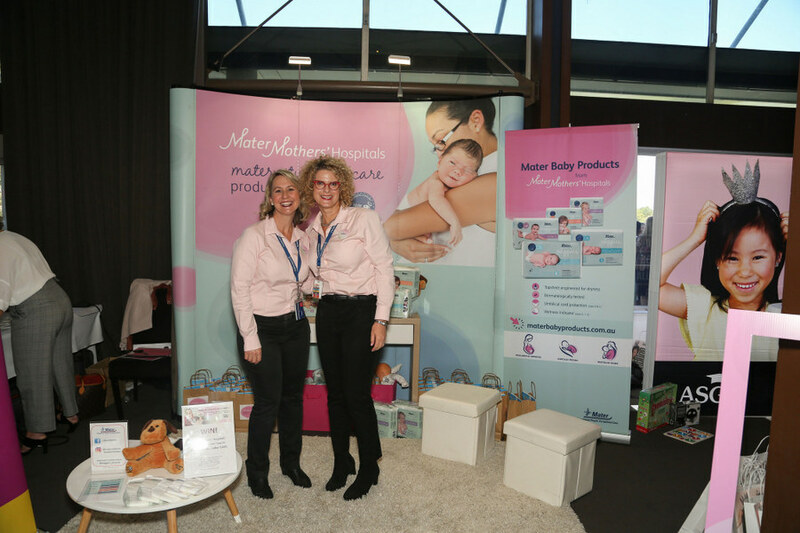 Little Innoscents was created in 2007, when founder Atonette Golikidis could not find products for her son’s dry and irritated skin. 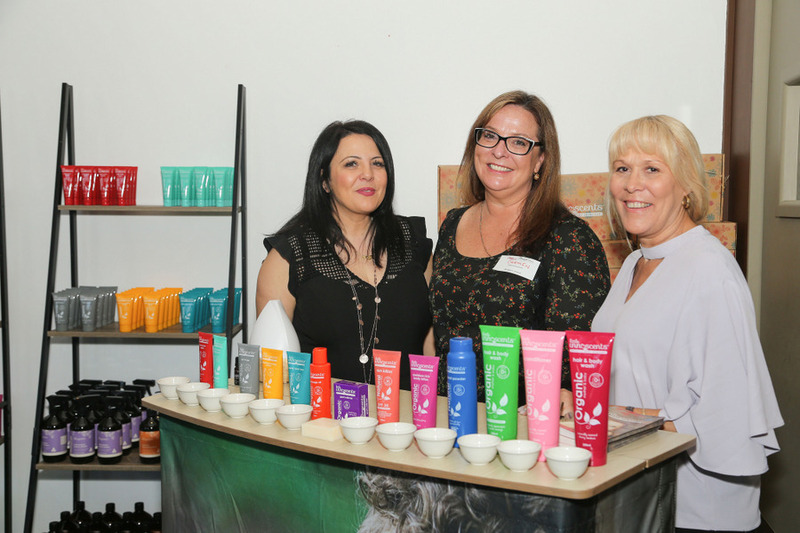 She went about making her own products for her son and then created a range to help other mums struggling to find products that would soothe their own children’s skin needs. These are just some of the products we were gifted. I’m personally loving the dry skin balm and paw paw ointment for skin irritations. 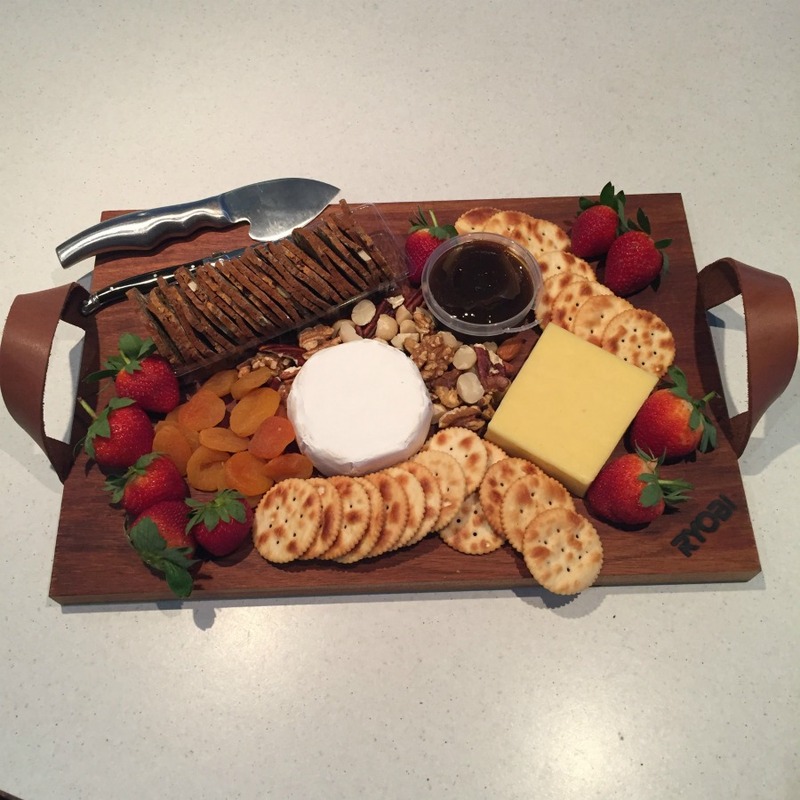 Kelly and I got to put our safety glasses on to make our very own cheeseboard. The Ryobi team were patient and friendly with their instructions. This workshop was fun for every blogger who gave it a go. The end product is something we will treasure and use in our homes. I’ve already used mine at a party event and got two orders! 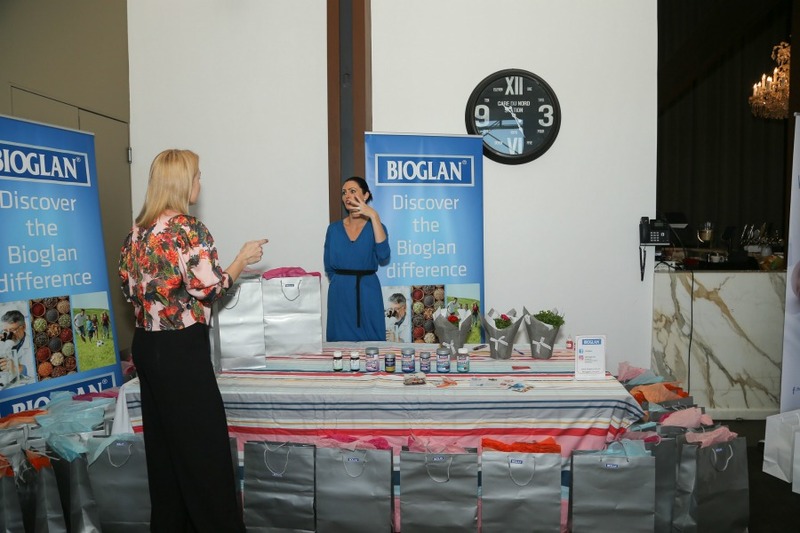 Interacting with the team from Bioglan was one of the highlights from the event for me. I admitted I was one of those mums that didn’t get as many veggies into my children’s diet as I know I should. The down-to-earth nutritionist didn’t berate me, but instead explained why their range of vitamins can assist with dietary deficiencies. Below are some of the Bioglan Kids Range our family trailed. My favourite product from this range is the Eye Guard Chewables. Plus there is a wide range of vitamins for adults. They have a fab beauty line and superfood line too. 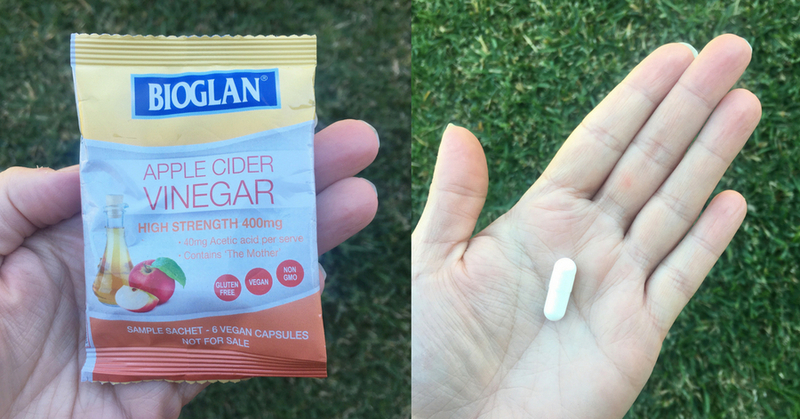 For example the Apple Cider Vinegar capsules (for those who don’t like the taste). 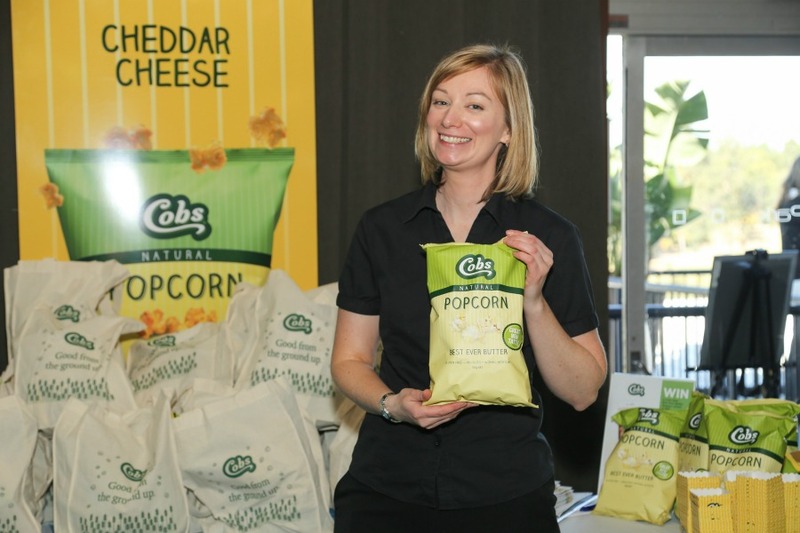 The COBS popcorn is a favourite in our household. It’s very moreish as you can never get enough of the lightly salted, slightly sweet popcorn. It’s always a crowd pleaser at parties and is a great snack to put in kids lunchboxes. There are other flavours available too, including Natural Cheddar Cheese and Sea Salt. Gro Company offers a range of baby sleeping bags and clocks to assist with getting your younger children into a sleeping routine. 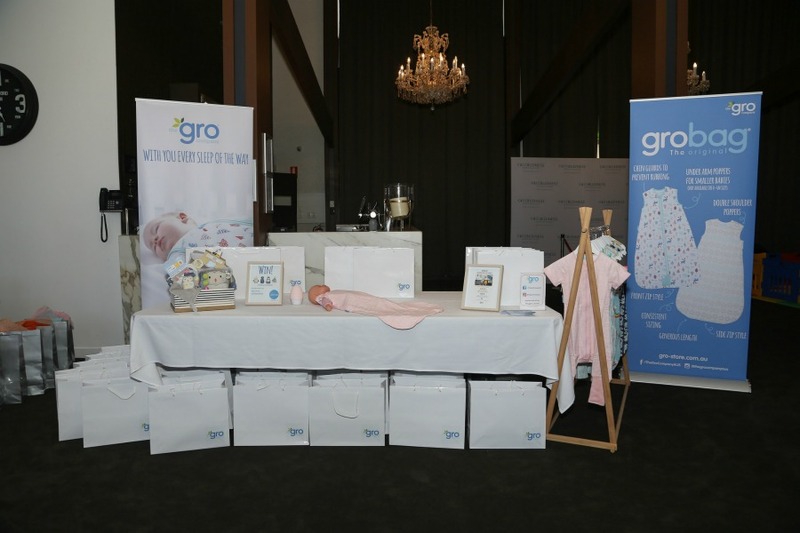 The Gro Bag is a parenting lifesaver when it comes to safe sleeping for your baby. No need to worry if your baby is hot or cold when using one of these bags. Terry White Chemmart are passionate about making it easy for people to get medications and support. They are a chemist that has an ‘app for that’. For example, their Health App allows customers to manage their scripts, and are reminded when scripts are running low. It even has an alert reminder system for when medication needs to be taken. Terry White Chemmart also support expectant and new mums. 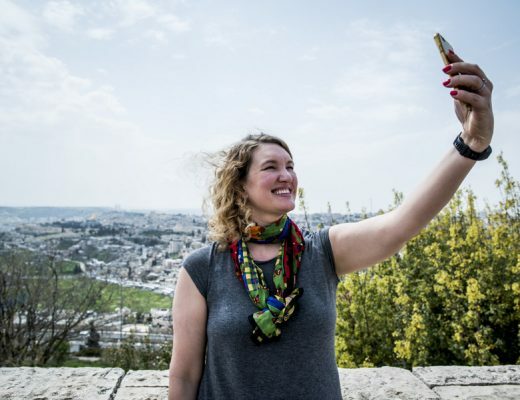 Their app called Baby Diaries allows new mums to keep track of bub’s sleeping, feeding, changing and milestone moments. Their apps are free. 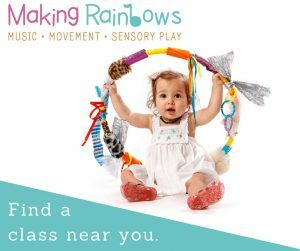 Plus, they can help you develop an asthma management plan to give to child care centres and schools if you have a child who suffers from this condition. I didn’t personally get to connect with this brand, however it’s worth checking out ASG if you want to forward plan funding your child’s education. More information can be found on their website. Nintendo offers entertainment fun for the whole family. There are a number of games and consoles to suit all family members. 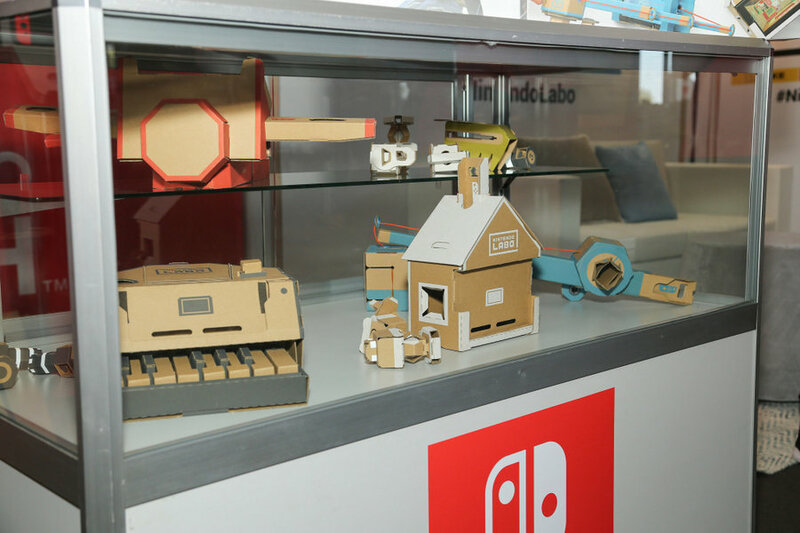 There is a new product called Nintendo LABO which combines craft WITH technology. It’s an interesting concept, and you can read a review of this product over at The Craft Train. 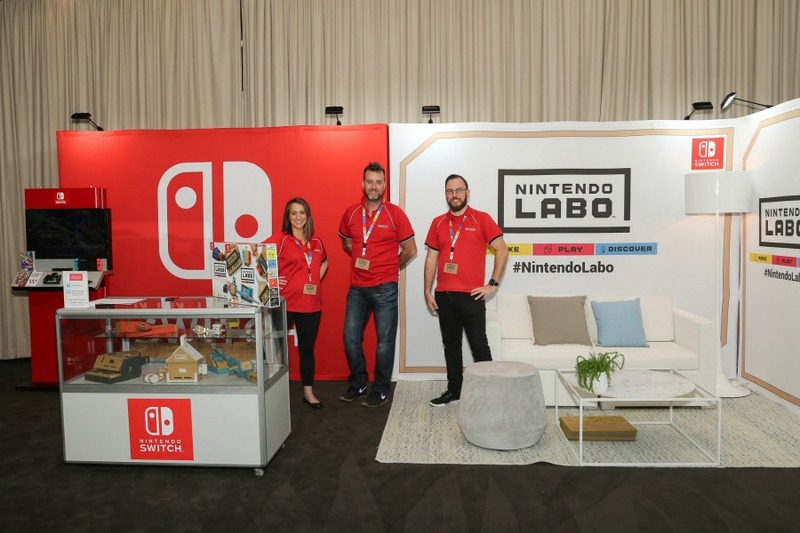 Check out the Nintendo website for more information. This family run business was very generous with their food offerings on the day. Their party food options like Dim Sims and Spring Rolls include veggies, and were delicious. I can’t wait to get some more of these foods to keep in the freezer for nights when I need something quick to put in the oven. 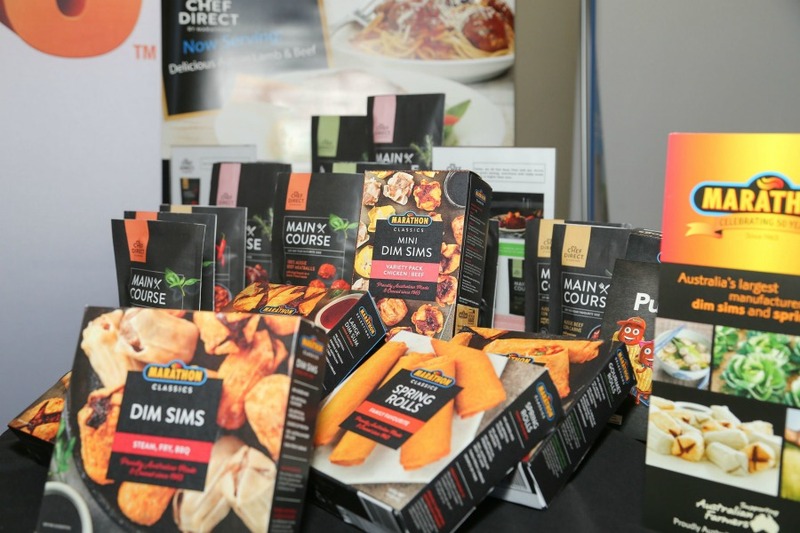 Marathon Foods also offer a Chef Direct range which DO NOT need to be refrigerated OR frozen. So yes, you just keep them in the pantry. The products are made fresh and kept fresh by the use of clover technology and packaging. I tried the Con Carne on the day, and it was delicious. Kelly tried the Red Wine & Rosemary Sauce Lamb Shank with her family and it was AMAZING and super quick. These are the sorts of meals you need in your pantry for those super busy nights when you have sport on or other extracurricular activities after school, and need a delicious and super quick meal. We are talking dinner ready in 10 minutes. 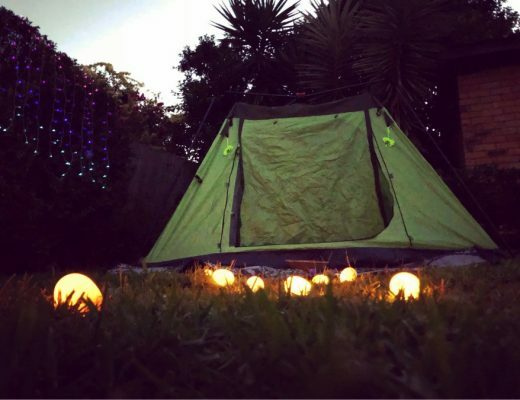 Oh, this range is perfect for camping too. One evening, Kelly made sliders in under 10 minutes. 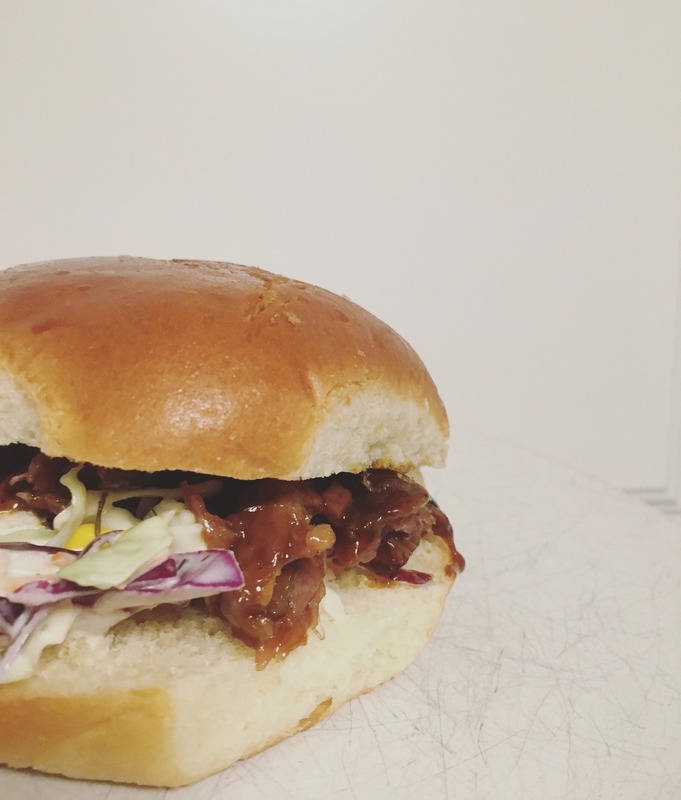 Buns + Coleslaw + Meat. 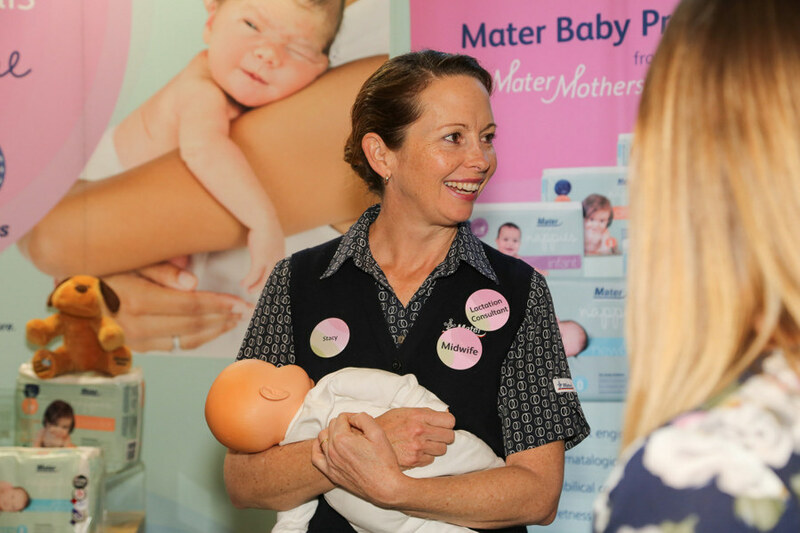 Mater Mothers don’t just offer an amazing service for expectant mothers, they do a wide range of baby products too. Overall, the Kids Business Bloggers Brunch was a lot of fun to attend. It was brilliantly run and was made all the more successful by the bloggers who showed up to network at the event. 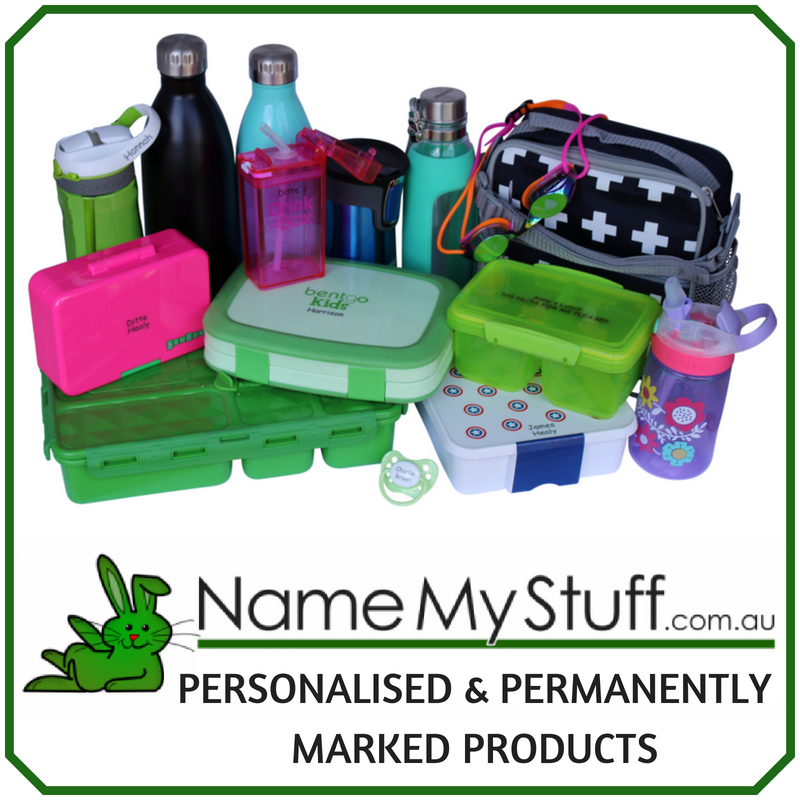 If you would like to know more information about the brands we’ve shared about it this post, please let us know.